After a few days down in Dunedin - which, at the tip of South Island, is close to the end of the earth - I headed up to Marlborough for my first taste of NZ wine country. It was an overcast, blustery late-spring day, but there was still a good view of the carpet of vineyards as we descended to the small airstrip near Blenheim town (see the video, below). There really isn't much here apart from vineyards, and it must have been impossibly quiet before the wine industry turned this into New Zealand's largest wine region. My first stop in Marlborough was with Dr Damian Martin (below), who heads up an interesting new venture called Winegrowers of Ara. 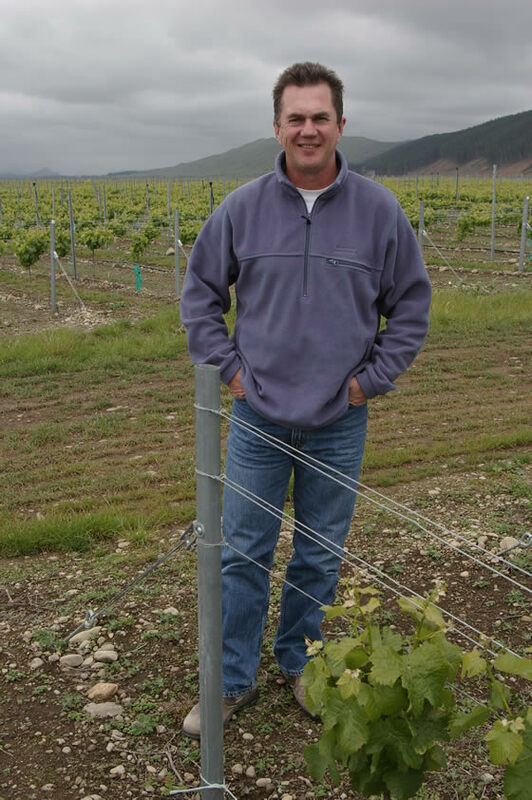 Damian isn't your typical NZ winemaker. He studied winemaking in Bordeaux and developed a fascination with the science of terroir. 'I got to know what was fact and what was embellished', recalls Martin. 'I also got to know the ins and outs of the regulation of appellation systems'. After his studies, he was faced with a choice: to stay in Europe, or head back to the home country. 'I always thought there was more opportunity in New Zealand once I finished studying, but also the opportunity to do something different by creating an origin brand', says Martin. So what precisely is an 'origin brand'? According to Martin, it’s a wine brand that (1) reflects its location; and (2) combines the philosophy of how things are done. 'I learned that the human component is just as important as the physical characters of the site’, he continued. ‘The way things are done influences the product as much as the soil type and the climate'. So this is a fresh vision of terroir, where the way of doing things, itself based on an underlying philosophy, is combine seamlessly with characteristics of the wine that stem from its location (which is the traditional view of terroir). Martin is trying to put ideas of terroir and appellation into a modern framework, and also a business model. When Martin returned to NZ after his studies he went to work for Corbans, a company that was subsequently purchased by Montana. He still had the dream of creating a new venture, but needed a property to go with it, and was looking for a unique piece of land in Marlborough. When the time came to begin the Ara project, he had such an ideal property in mind, which was one that he'd visited with Corbans in late 1999. The site in question (above) is basically an entire river terrace at the meeting point of the Waihopai and Wairau rivers, and is a huge patch of land. It’s around 1600 hectares, and along with this Ara also own 1000 adjoining hectares of hill country, but this is too steep for viticulture. Dryland farmed until late 1999, the previous owner had secured water rights but didn't have the capital to make use of these. When Ara bought it, there were no vines planted. The reason Martin thought this could be 'it' is because it was a single land form, different to anywhere else in Marlborough and with the terrace at higher altitude than other Marlborough sites. ‘The terrace formed after glaciation’, explains Martin. ‘The geology in NZ is active, and large terraces tend to get eroded or re-covered in sediment. 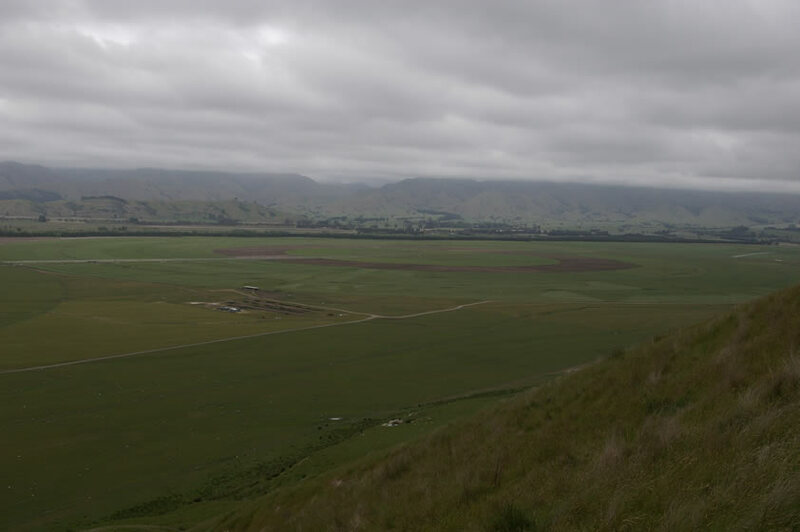 This terrace has been protected sitting on the main Wairau fault line at the junction of two plates.’ Apparently, the soil is older than most of the others in Marlborough: the whole region has an alluvial gravel base, on top of which there is a light icing of silt. This gravel was laid down by the Wairau river, and the youngest soils tend to be gravel with sand, with relatively little fine material. They tend to be fertile with low water holding capacity. Here the age has leached the soil and it's a little less fertile, but the presence of clay and other fine material gives the soil good water holding capacity. The weathering in Marlborough goes down 1 metre, which compares with the 5 or 6 metres of weathering you'd typically find in the Rhone. Given his French roots, Martin does viticulture a little differently to his neighbours. 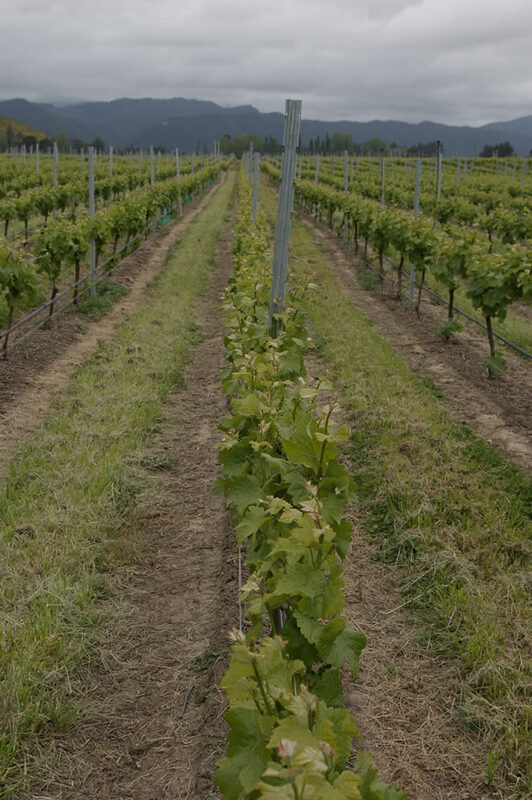 The density of planting here is 5000 vines hectare, compared with the 2000 per hectare typical for Marlborough. 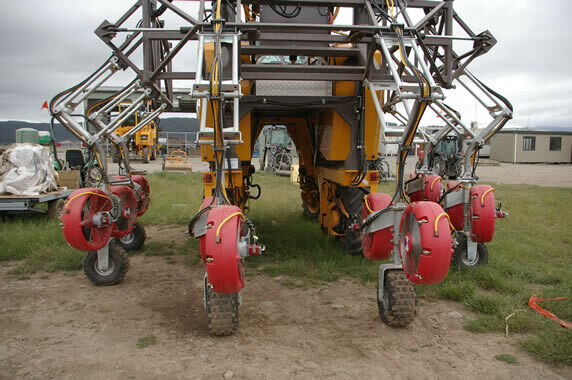 Spacing of rows is 1.6 × 1.5 metres, which compares with the typical row width of 2.4 metres. In the early days in Marlborough 3 metre row width was common, but few people use this now. Martin adds that in Europe the typical planting density was a massive 25 000 vines per hectare, which only changed when vines began to be planted in rows, in which case the row width was determined by the width of a horse or cow, at about 0.9 metres. The 3 or 3.5 metre row width commonly found in the new world was because many of the people planting already had tractors which necessitated this spacing. 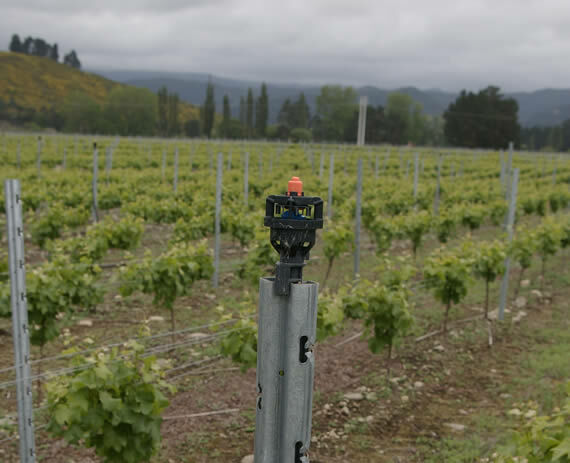 Irrigation of the vineyard is through spray heads, which is also the method of frost control – essential for this site. To power the spinklers, Ara have a large lake and pumping station, which has four monster 600 hp motors that can each pump 600 litres per second. ‘It’s pretty unexpected to get a wine like this from the first crop’, remarks Martin. These are interesting wines, and while it seems quite brave to be embarking on such a large-scale project in a frost-prone area that hasn't yet proven itself, these initial wines suggest that Ara could have a bright future indeed.